Yesterday was the Coast Guard birthday, last week was the anniversary of the founding of the WAVES and today is my sister’s birthday. 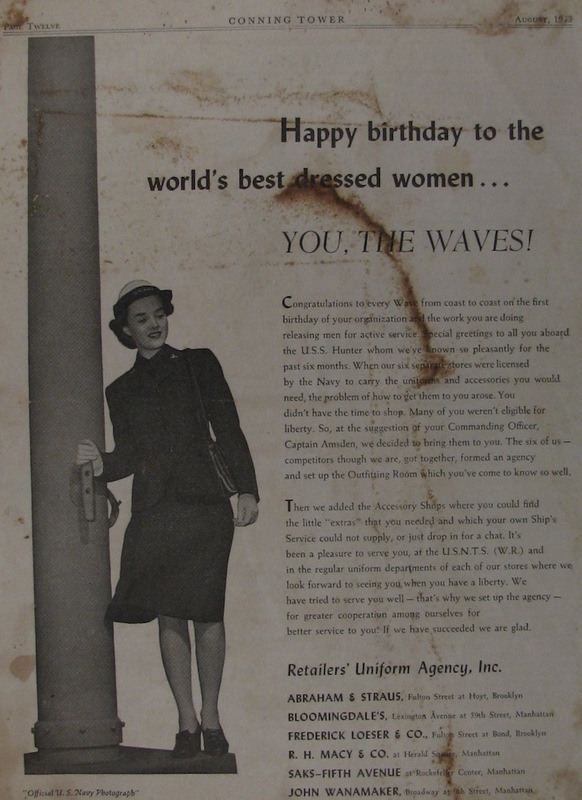 So it only seems appropriate to continue the birthday theme, with this ad from the August 1943 edition of Conning Tower, the official newspaper of the WAVES boot camp at Hunter College in the Bronx, New York. The newspaper is held by the The Betty H. Carter Women Veterans Historical Project at the University of North Carolina Greensboro.